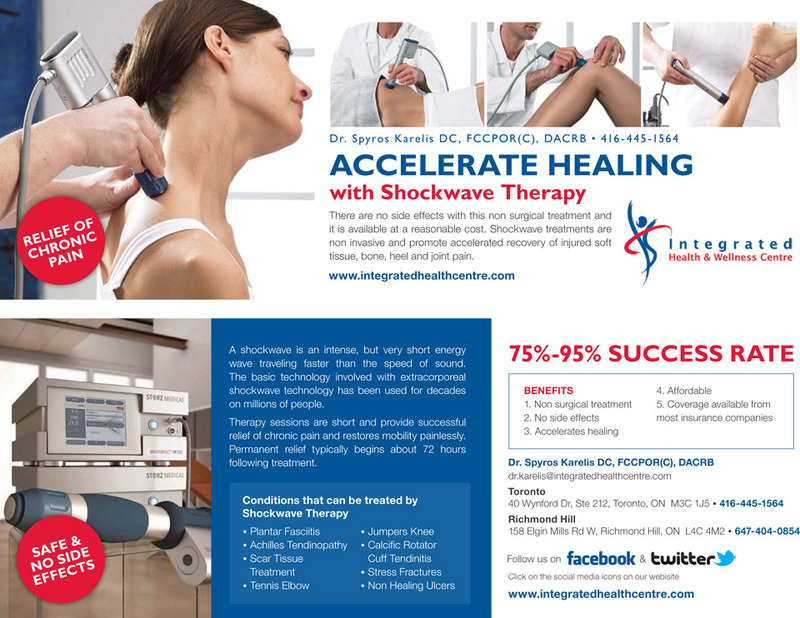 Integrated Health & Wellness Centre is pleased to offer shockwave therapy treatment to our clients in both our North York and Richmond Hill offices. Shockwave is an intense short energy wave that is traveling faster than the speed of sound. When applied in short treatment sessions, it helps the body in healing cells, and providing supplementary blood flow to the injured site. Often relief can occur in minutes with the ability to regenerate injured tissue in days. Shockwave therapy treatments are non invasive and promote and accelerate the recovery of injured tissue. This is why it is recognized as the Tissue Regenerator! 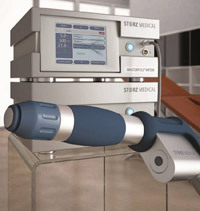 Shockwave therapy has been scientifically proven….that’s it is a FAST, SAFE and EFFECTIVE way to Purge Pain. Specifically, shockwave therapy is a non surgical treatment with no side effects. It accelerates the healing of soft tissue problems and is endorsed by leading Orthopedic Surgeons. To find out if shockwave therapy can help you, please contact our office for a complimentary consultation with Dr. Karelis.